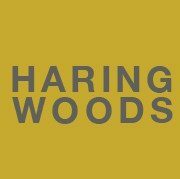 The 2nd International first Artists Airshow was co-produced by Haring Woods Studio and The Arts Catalyst, organiser of the first Artists Airshow, in a new partnership. Projects selected for 2nd International Artists Airshow reflected both the explosive and ephemeral nature of Gunpowder Park and investigate further the artists’ almost impossible dream of flight. Is it possible for the artist to go practically beyond the fantasies of Panamarenko, using engineering and technical expertise to realise dreams of flight while retaining the risk and the fascination of impossibility? Tomas Saraceno is an artist and architect whose utopian vision for cities that float in the air – changing form and joining together like clouds – has led him to create a series of experimental structures such as balloons or inflatable modular platforms that can be inhabited and exploit natural energies. For the 2nd International Artist Airshow Saraceno was commissioned to create one of these experimental structures at dawn. Despite being postponed due to heavy rain, Saraceno successfully launched his large new experimental solar dome at dawn on Saturday 22 September, with an audience of 40 people. Poetic Cosmos of the Breath was a collaboration between The Arts Catalyst and Gunpowder Park. Funded by Arts Council England, East and the Henry Moore Foundation.